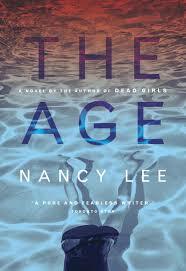 I don’t typically dwell on book design on this blog, but I do want to state, for the record how much I enjoyed the cover of Nancy Lee’s novel The Age. Based on my comment above, you can probably tell that I’m grasping at straws a bit here. Not because I didn’t like The Age, but I honestly don’t know what to talk about when it comes to this book. 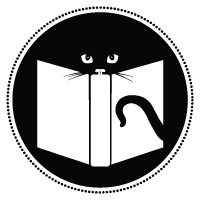 Should I mention how much I enjoyed the main character Gerry? She’s a tough young woman who doesn’t take crap from anyone, and finds herself in more than a few cringe-inducing situations (like trying to seduce her mother’s ex-boyfriend, for example). She was great, and I read another review that pointed out the interesting fact that you never actually learn her age, which is strange for so many reasons, most obviously, the title of the book! I suppose Lee left out this very important fact simply because it will drastically affect the way you judge Gerry’s actions. Trying to lose your virginity at the age of 12 is very different than trying to lose your virginity at the age of 17 (yet again, another example of a cringe-inducing situation you get to read through in this book) so in hindsight, this omission was most likely very intentional and deliberate. What else can I talk about? Well, there were two parallel narratives in the book which never technically intersected. Gerry has a very detailed and specific dream in which the world is hit by a massive nuclear bomb and she vividly imagines its affects on a young boy and his slightly-older female companion who ends up becoming the mother of his child. You also get the sense that Gerry imagines herself as the young man, which ties into this very confused sexual state that Gerry finds herself in. She’s attracted to both men and women (I think) and as she discovers the power in her burgeoning sexuality throughout the book this dream is a clear indication that she’s more confused than she lets on. The dystopian world that she dreams about is quite horrifying actually, but it offers a quiet relief from the terrors of being a teenager, so I actually looked forward to reaching those sections smattered throughout the book. So I guess you can say I liked the book, but I didn’t love it. However, I can’t really pinpoint any real issues with it either, so I’m not really sure how I reached this conclusion. Have I just created the most useless book review ever? Perhaps, but I like to think that I alerted my readership to something that may not have picked up otherwise, even if you’re left feeling as non-committal as I was after reading it.